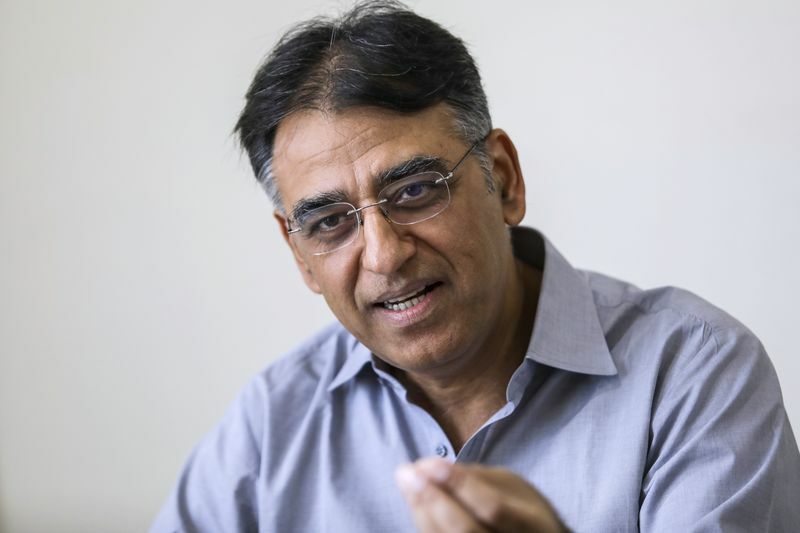 ISLAMABAD: Minister for Finance Asad Umar on Monday said the bailout package of the International Monetary Fund (IMF) would be presented in the parliament. “The Pakistan Tehreek-e-Insaf (PTI) government has reduced the burden on common man while the previous Pakistan Muslim League-Nawaz (PML-N) government had levied increased taxes on items of daily use besides increasing electricity prices,” he said and added the incumbent government had instead imposed taxes on luxury cars and expensive mobile phones. Umar said $12 billion were required to increase foreign exchange reserves, which was essential for the country’s economic stability. The government would bring reforms to the economic system, he added. The finance minister said the government was taking concrete measures to facilitate the industrial sector, including the provision of cheap gas and electricity, so that exports could be boosted. Umar said the PTI government would not take any step contrary to the party’s manifesto. “Measures are being taken to get back the stolen national wealth stashed abroad and, for the purpose, national institutions are being strengthened,” he added. The minister said the government had to take the decision to approach the IMF because of the high current account deficit as a result of the wrong economic policies adopted by the previous governments. He also said the PML-N had destroyed the national economy. “The incumbent government is introducing other revenue generation measures to avoid the IMF packages in future,” he said and added that the PTI government will not privatise Pakistan Steel Mill and Pakistan International Airlines (PIA) but steps were being taken to make them profitable. He hoped that the national economy would be back on track under the dynamic leadership of Prime Minister Imran Khan. To a question regarding results of the by-elections, Umar said PTI had once again emerged as the largest and most popular political party of the country.